Hello friends and welcome to the weekend! 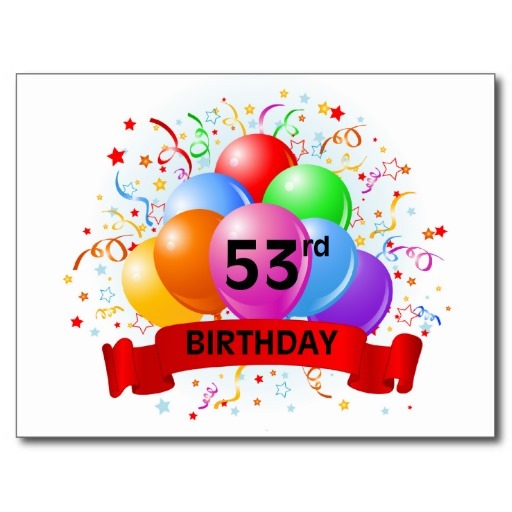 Today is my 53rd Birthday and later on I will be celebrating it with my hubby and son with a dinner down at the Christiana Riverfront. 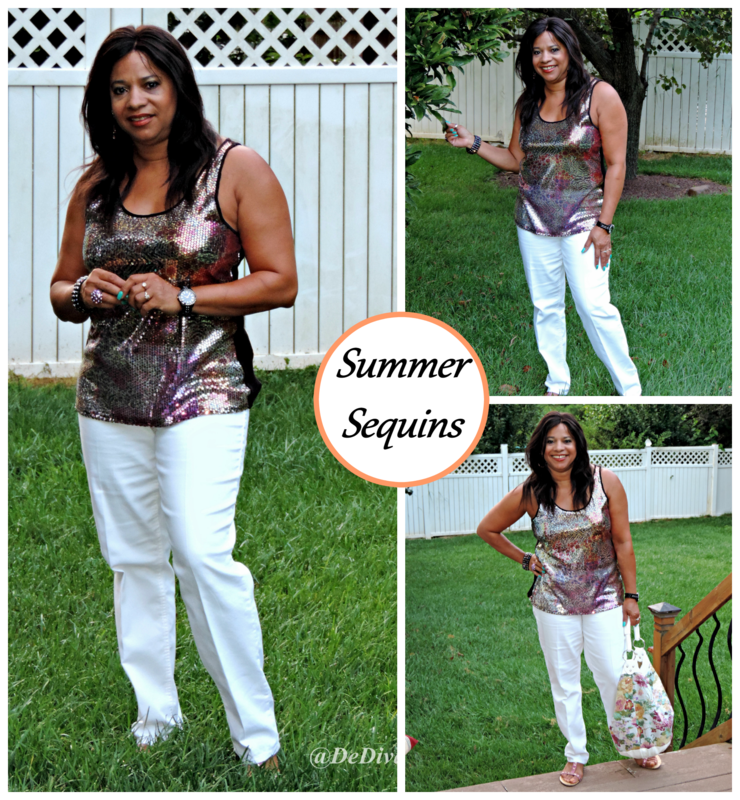 In the meantime, I thought I would post a few summer outfits that didn’t quite make it to the blog. However, if you follow me on Instagram you might remember seeing some of them in a “Fashion after Fifty” post. 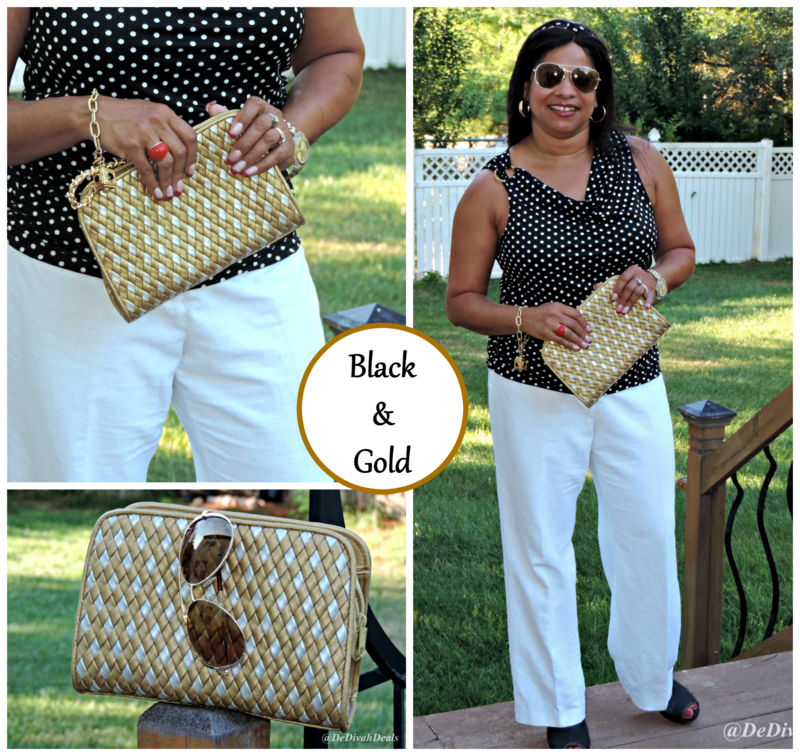 You know how much I love black and white polka dots, so with this outfit I accented it with gold accessories. Both the top and pants are thrifted, the purse is quite old as are the sandals. The bracelet was purchased at the QVC Outlet in Frazer, PA, Avon watch and the ring is from Old Navy. 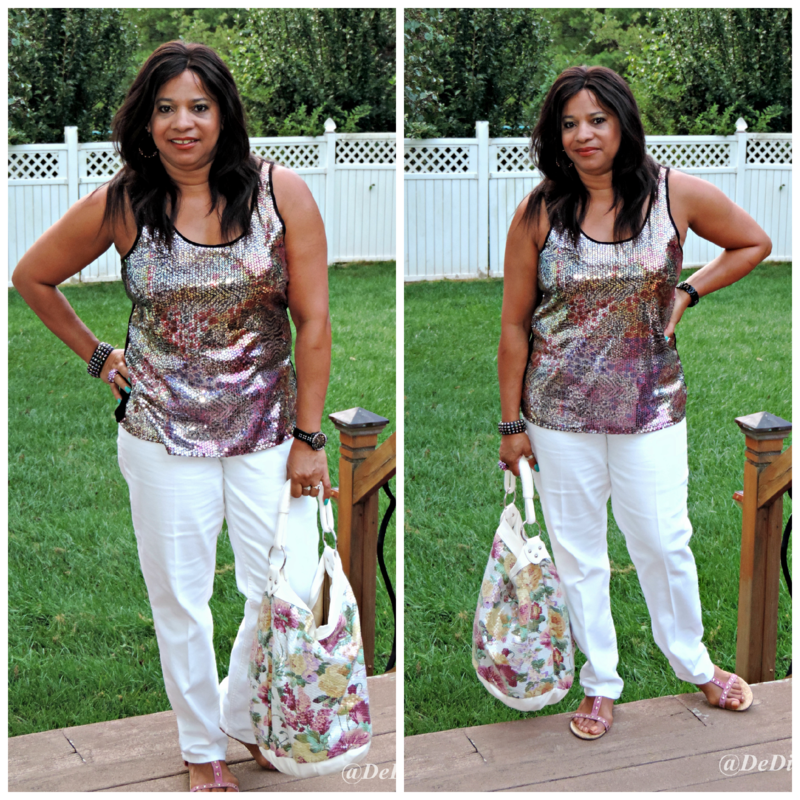 This was another Casual Friday with white jeans and sequins top which I had never worn during the day, but hey, YOLO and I’m over 50! The purse was found at Charmingly Linda’s Consignment Shop in West Chester, PA and the studded sandals are staples in my closet. This was another fun outfit, with the pink lace top, pink gingham shoes from Rugged Wearhouse and multi-color purse from Ross. 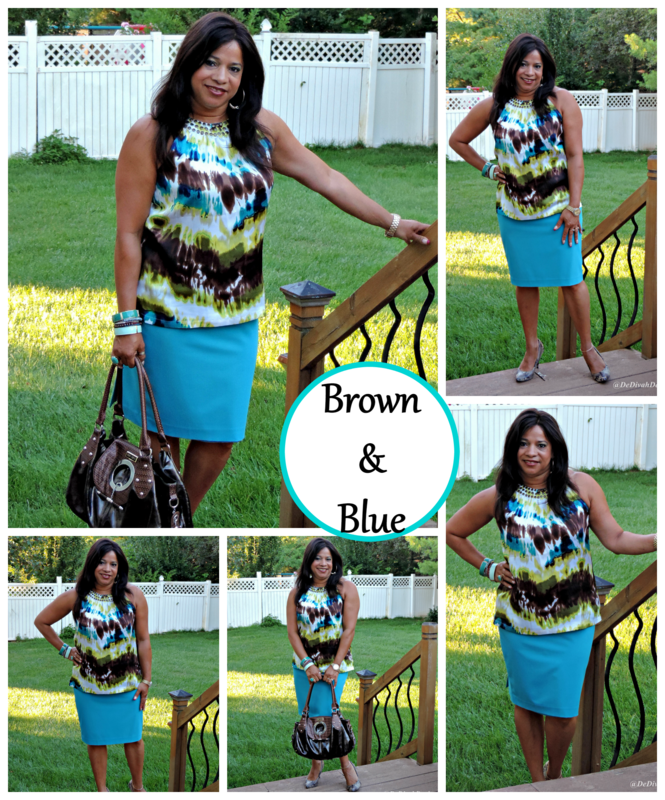 I chose to anchor the outfit with a black pencil skirt. And finally my all time favorite outfit of the season, mixing brown and blue with a studded top thrifted from Goodwill, faux Jimmy Choo purse and multiple bangles from Old Navy. The faux Snakeskin pumps from Target are a pair of my favorite pumps so they will be worn a lot this fall. So what do you think, not bad for an old lady huh…? Yes it was, made even more so with Malik home for the weekend. Enjoy your BIRTHDAY to the max Sis . . .like fine wine you’re better with age! Thank you, sipping on a glass of Sweet Red now. Happy Birthday!! Hope you are having a wonderful day! Yes, it was a wonderful day! Happy Birthday. I know you had a lovely day. I love the black and pink lace top with the black pencil skirt. I’m looking forward to your fall fashion lineup. Thank you, I got your card today and my birthday was made even more special with Malik’s surprise visit. Not bad at all….still looking fine. Happy Birthday!!!!!!!!!!!!! You are looking lovely in all these outfits. Happy Birthday!! I hope it was more than you imagined and have many, many more!! Thank you, it was a wonderful day. Our youngest surprised me and came home from college for the weekend – best present ever! Happy Belated Birthday!!! Hope you had a FAB day. 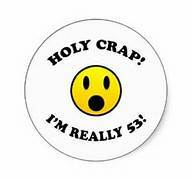 And, can I say, you look 43 and not 53! BEAUTIFUL. Thank you sis, it was fantastic day! Happy Belated Birthday! I’m loving the fashion, looking good! Thank you, it was a great birthday, working on the recap now. Happy Belated Birthday Diva! You look awesome! Hope your day was great! Thank you, it was, made even more special with a surprise visit from Malik! 53 and smokin hot! Happy Birthday! 53 and looking hot sis!! It is hard to choose which outfit looks the best because they all do! I hope you had a great birthday! Yes, it was a wonderful birthday made even more special with the surprise visit from Malik which you can read all about on Thankful Thursday.